Heavy duty self-retracting key reel. Keeps keys in easy reach. Belt loop fixing up to 42mm. Keys can be used at arms length and return smoothly after use. 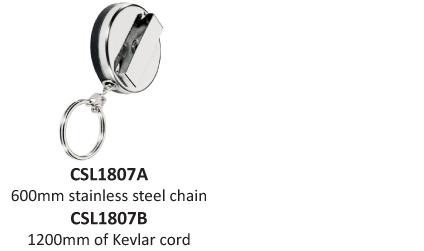 2 types available (600mm stainless steel chain or 1200mm Kevlar cord).